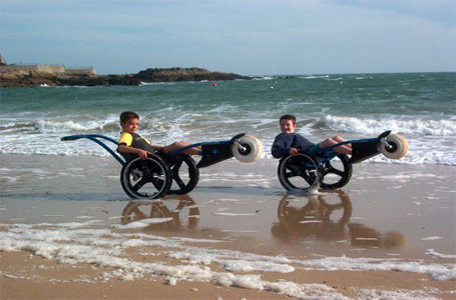 The Hippocampe is a leisure wheelchair that goes with you year-round for your open-air activities. 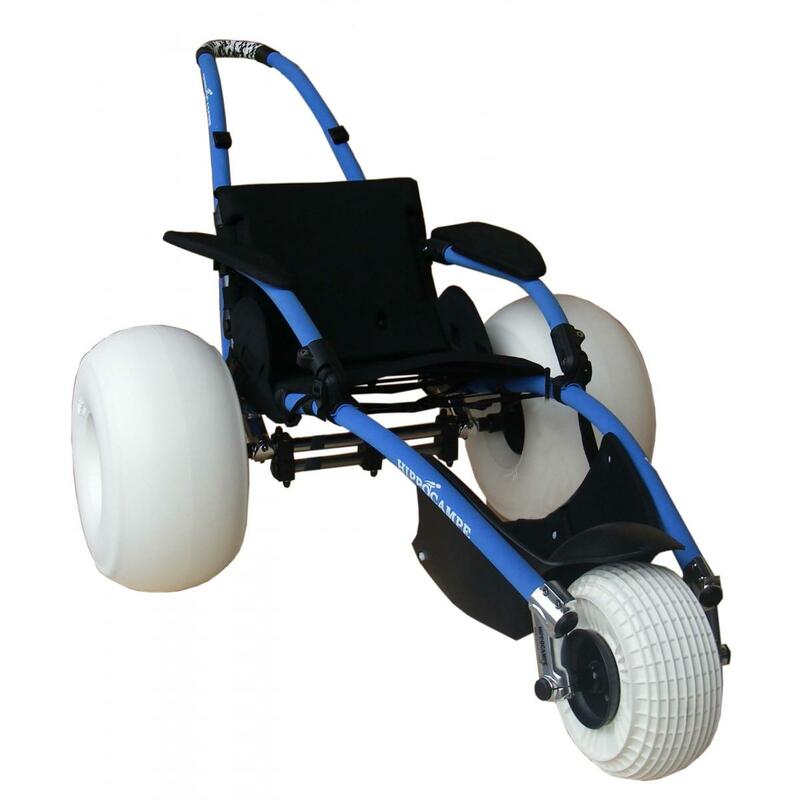 With its double rear wheels you can self propell. Another person may use the push bar to push you. 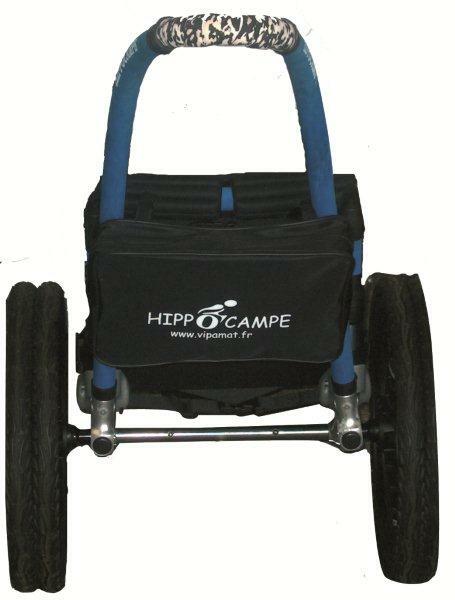 Fashionable and recreational, the Hippocampe has a great design. It fits in perfectly with the leisure and vacation universe. 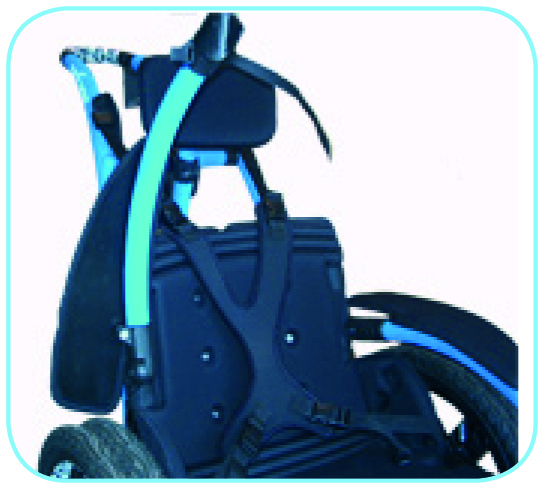 The Hippocampe offers its user autonomy over difficult terrain, or with its push bar a third party can assist the more heavily handicapped. The seat, the armrests, the headrest are composed of a thick and hydrophobic foam that does not absorb water and dries quickly. 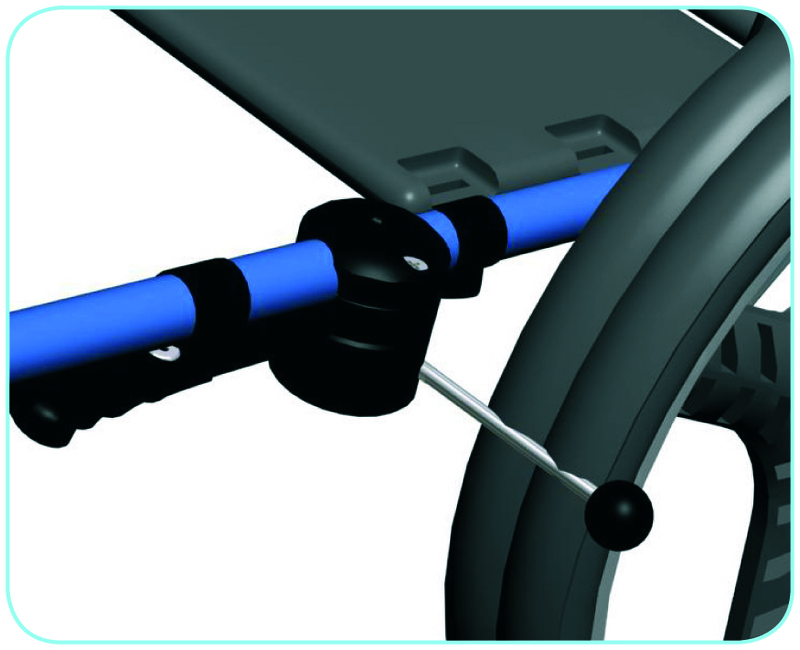 The blue and pink sheathed tubes are comfortable to the touch and do not heat up in the sun. 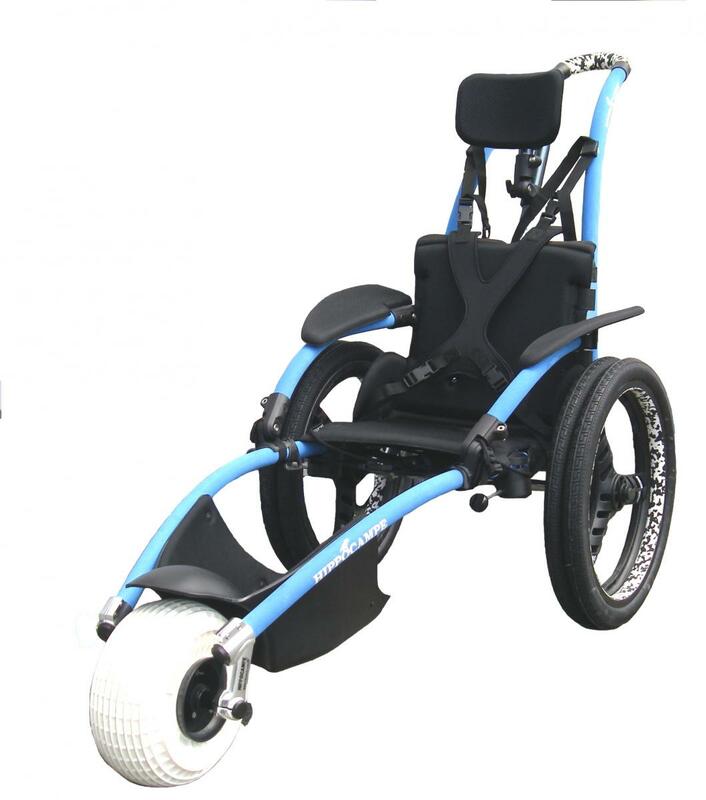 Its small size, fold-down backrest, removable push-bar and wheels (in less than a minute) and weight - 17 kg (37.5 lbs.) 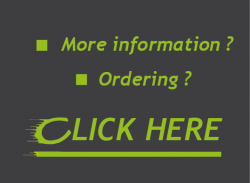 - make it easily transportable and convenient to store in your home or at an aid station. Its youthful look and modern silhouette make it your ideal companion. 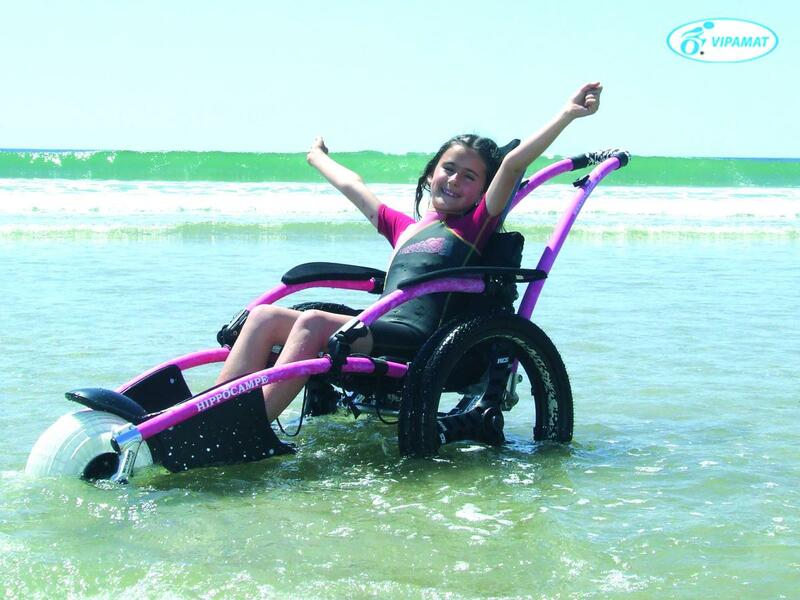 The Hippocampe wheelchair has received numerous awards. 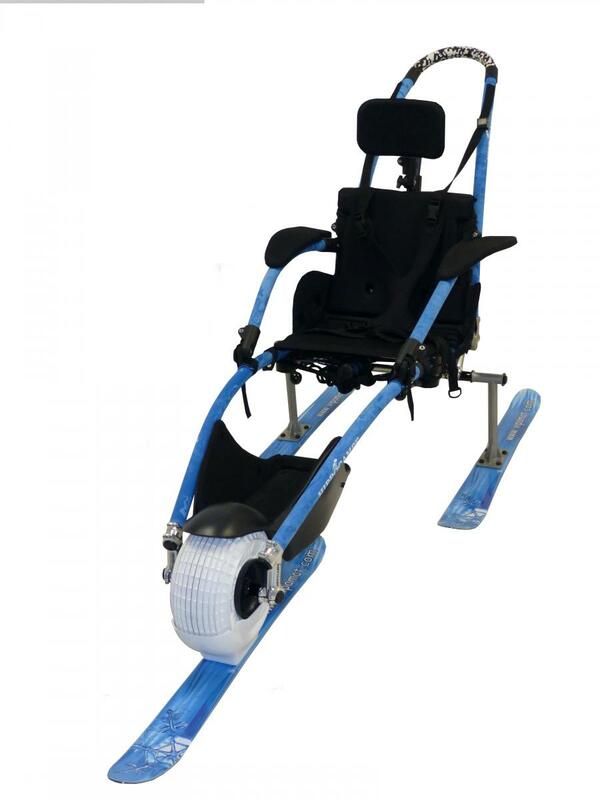 It fits on a clip under the front wheel and enables the user to slide over the snow. 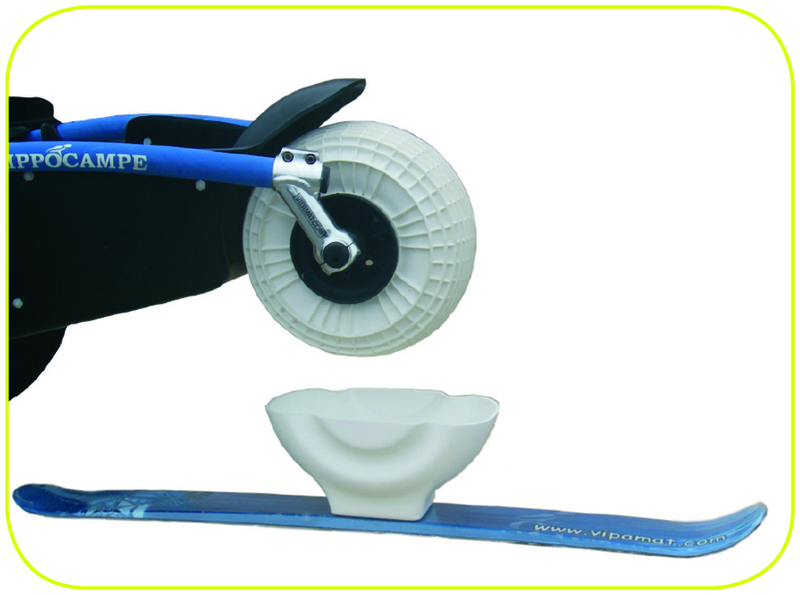 is interchangeable with the rear wheels and allows to use the Hippocampe wheelchair as a sliding wheelchair on the snow. 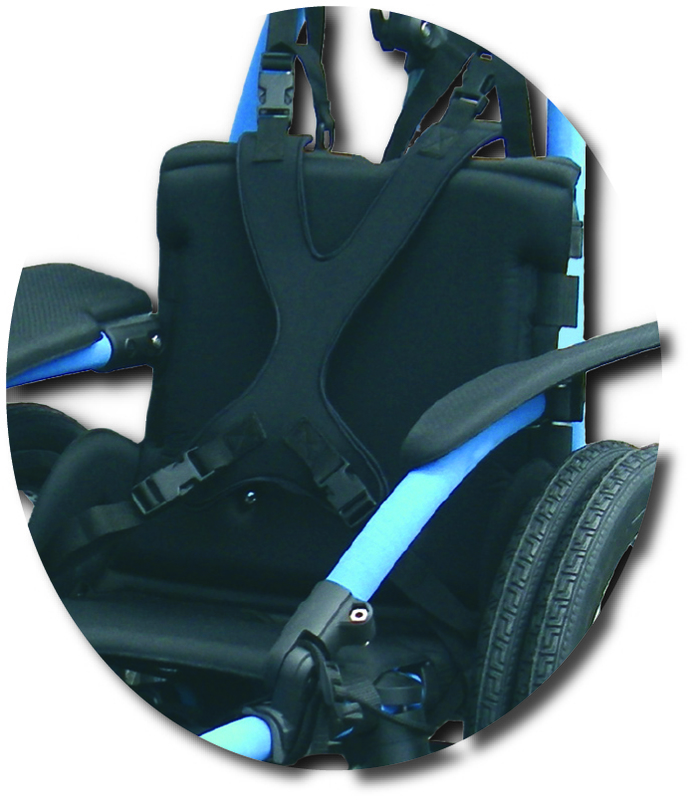 Thanks to this little carrier bag, which can be fitted on to all our wheelchairs, you can take all your leisure equipment or personal items with you wherever you go. Ideal to store and protect the good. 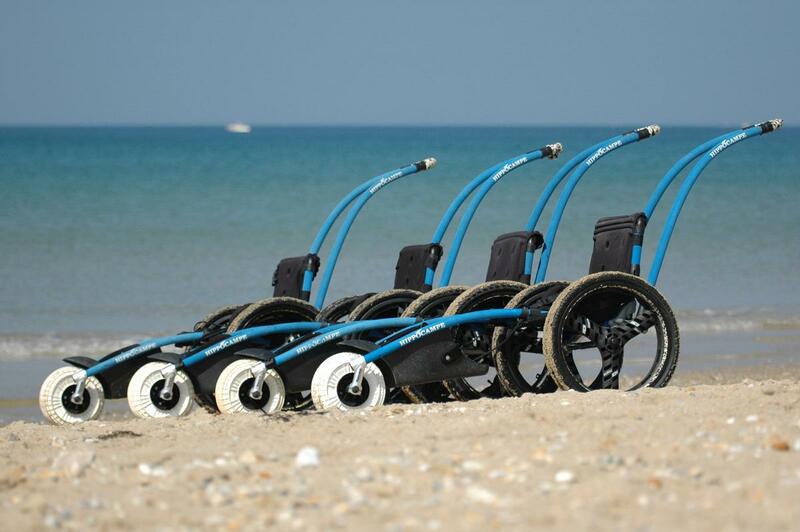 This new pair of wheels makes travelling across sand easier than ever before, even across very fine sand. (Assistance required). Used to lock the wheels during the transfer.